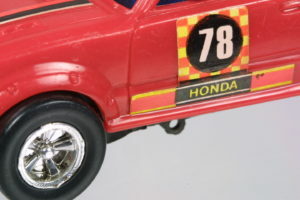 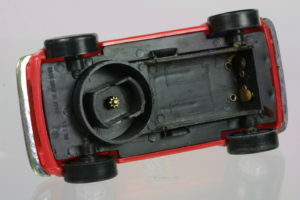 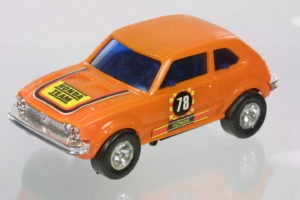 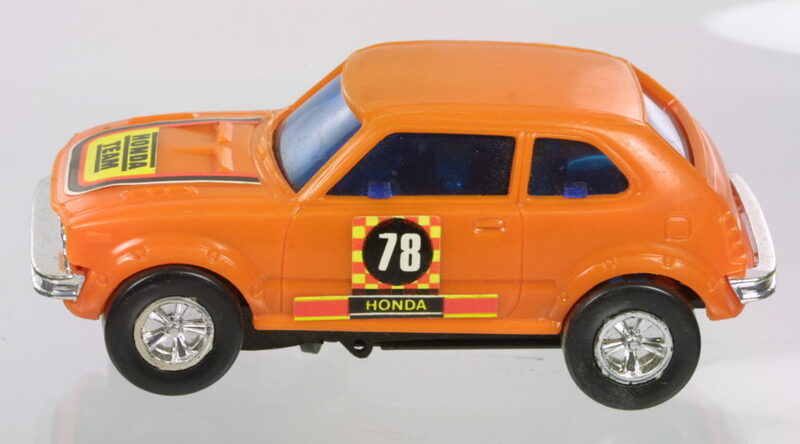 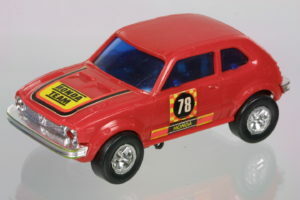 Toy bump and go Civic hatchbacks from TK in approximately 1:28 scale. 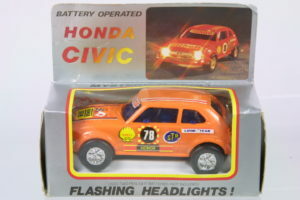 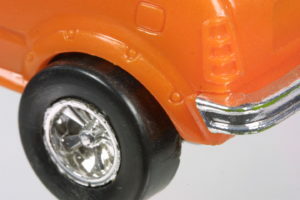 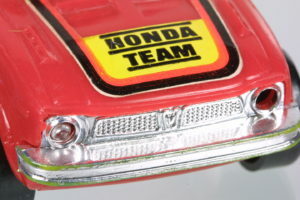 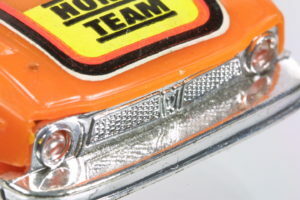 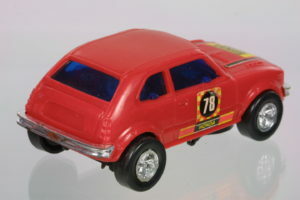 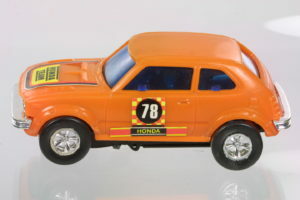 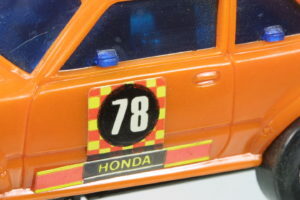 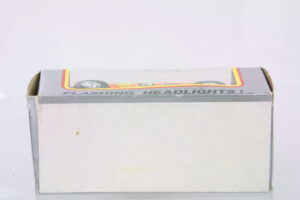 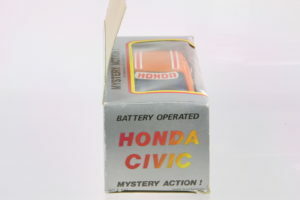 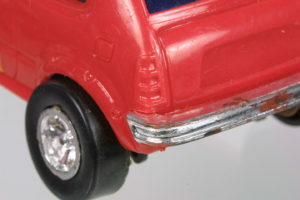 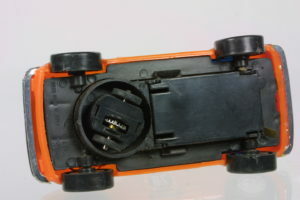 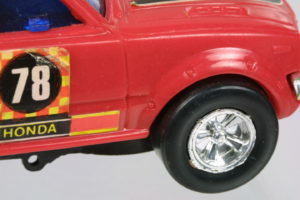 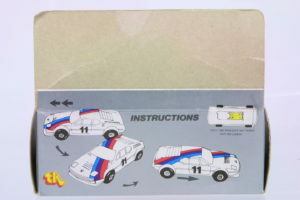 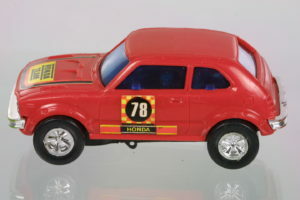 The collections has both the red and the orange version with the red one in slightly used condition – missing the motor and a headlight while the orange version is missing a decal or two. 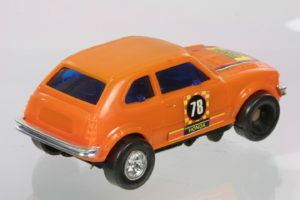 The collection also has an orange new in box!